What’s this? Is it your grandma’s old sweater? Maybe some dried grass? Or fur? But what kind of fur?? If you guessed beaver fur, you’re right! Beavers are the largest rodent in North America. They live in wetlands, and their waterproof fur helps keep them warm and dry! 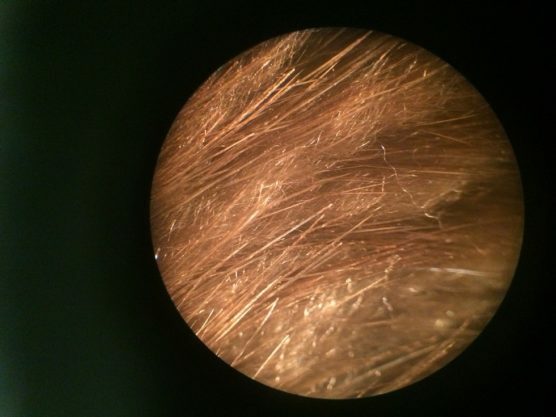 Take a close look at the picture of the beaver fur under a microscope. Do you notice the two layers? The dense under fur traps air to help keep the beaver’s skin dry. The coarse outer fur acts as guard hairs. 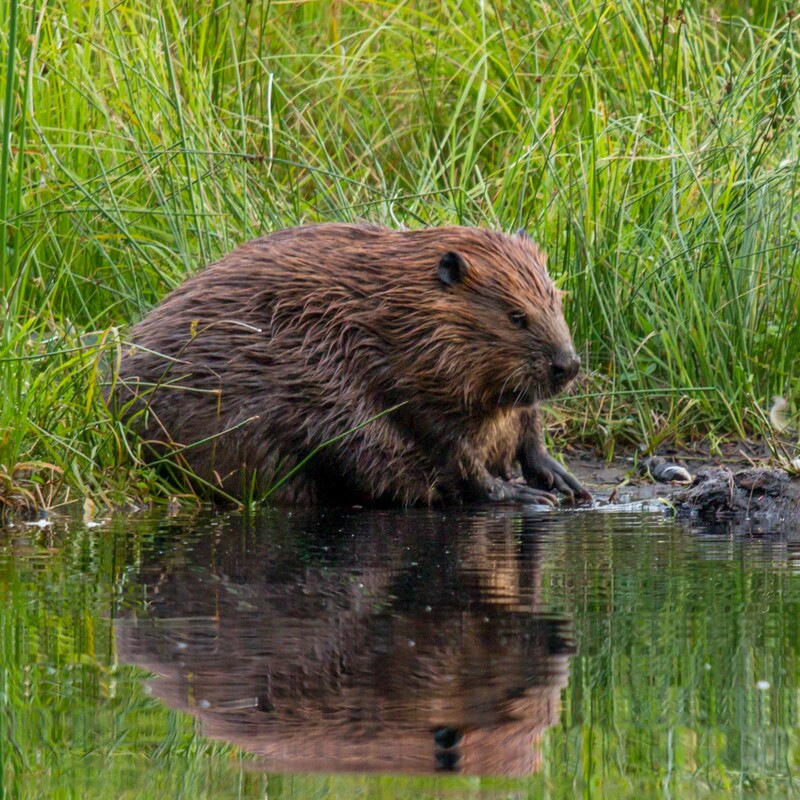 The beavers rub castoreum – a waxy secretion they produce in their glands – over their fur to keep it waterproof. In Stanley Park, beavers can be seen in both Beaver Lake and Lost Lagoon. The beaver families live in lodges, structures that the beavers have built out of sticks and mud. At Beaver Lake we often see evidence of these beavers as they try to dam Beaver Creek, and chew down nearby trees to do so! If you want to see these beavers in action, you will have to time your visit to Stanley Park right. Beavers are crepuscular animals: they are awake and active during twilight. So come to Beaver Lake or Lost Lagoon in the early morning or in the evening to catch a glimpse of the beavers hard at work. The double layered fur pictured above helps keep these semi aquatic animals warm and dry. What a great adaptation for their lifestyle!